Mahindra and Mahindra, the country’s top car maker has made announcement about the launching of its much awaited Sports Utility Vehicle (SUV), Quanto in the Indian market today. 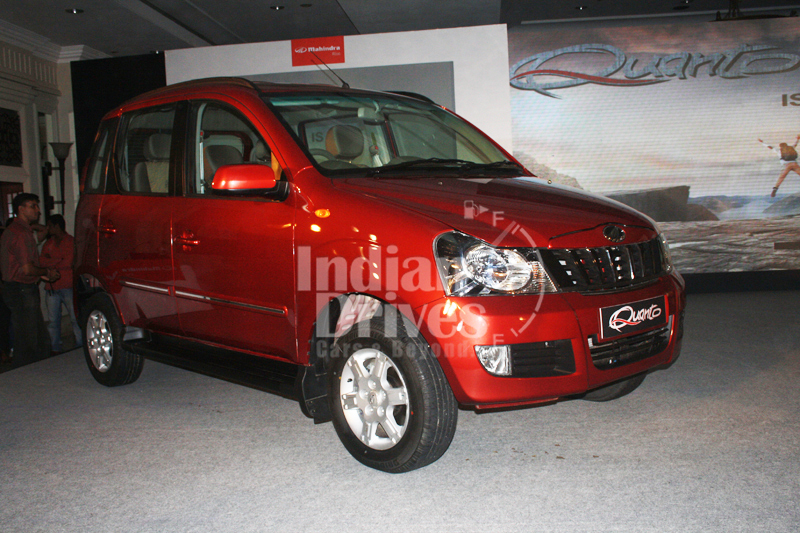 The newly launched sub-four meter Quanto is named as one of the smallest sport utility vehicles in the nation. Catered by a 1.5 litre diesel engine, the new Quanto creates maximum power of around 100 bhp with a maximum torque of 240 Nm. The Quanto is fabricated on a body-on-ladder frame workadopted from the renowned model, Xylo MPV. Cars or sport utility vehicles, which measures around4 meters in length meet the criteria for 12% excise tax. Mahindra presently makes the Xylo utility vehicle on the identicalIngenioplatform. 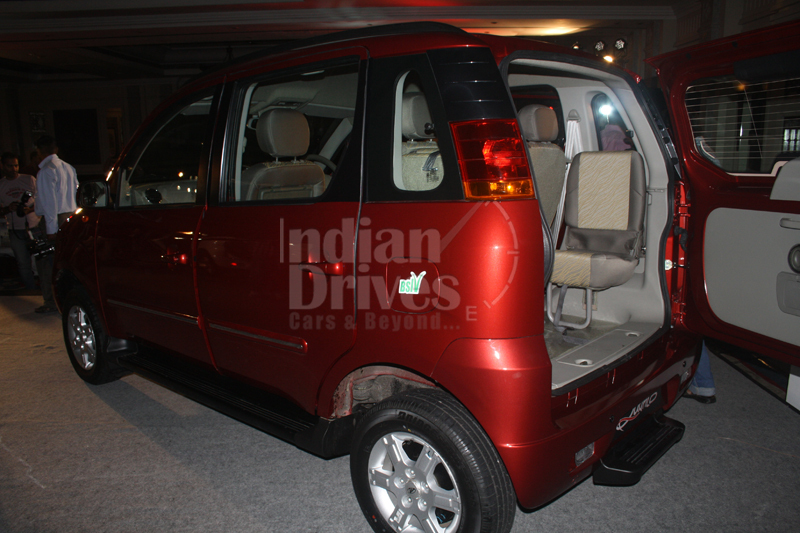 Mahindra and Mahindra compact sport utility vehicle Quanto will be obtainable in 4 different trim levels and valued between the range of Rs 5.82 lakh and Rs 7.36 lakh. The engine of the newly launched Quanto is a derivative of the M2Di, but together with three cylinders. It will dislodge 1398 or 1399cc that places it well within the 1.5-litre consent to meet the requirements for the other excise advantage. 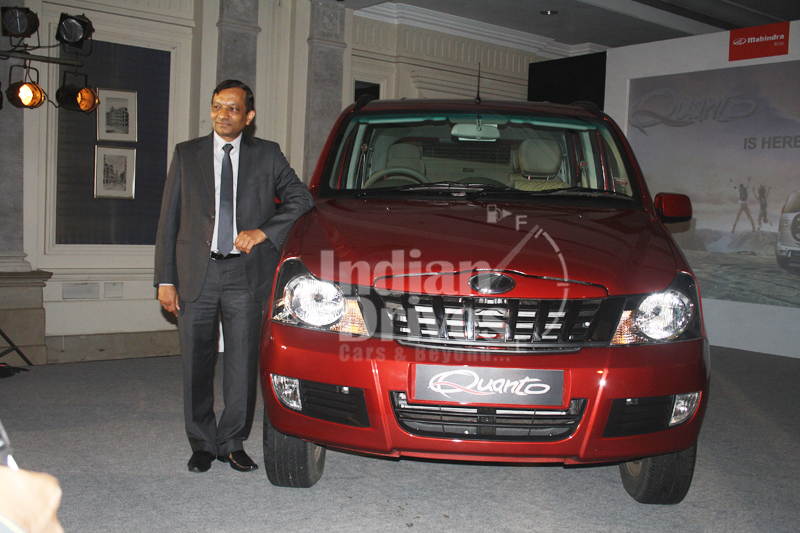 Quanto hits markets12 months after the XUV500 that have handed M&M healthy volumes since January. XUV500’s victory has forced the company to strengthenthe production of thesport utility vehicle. 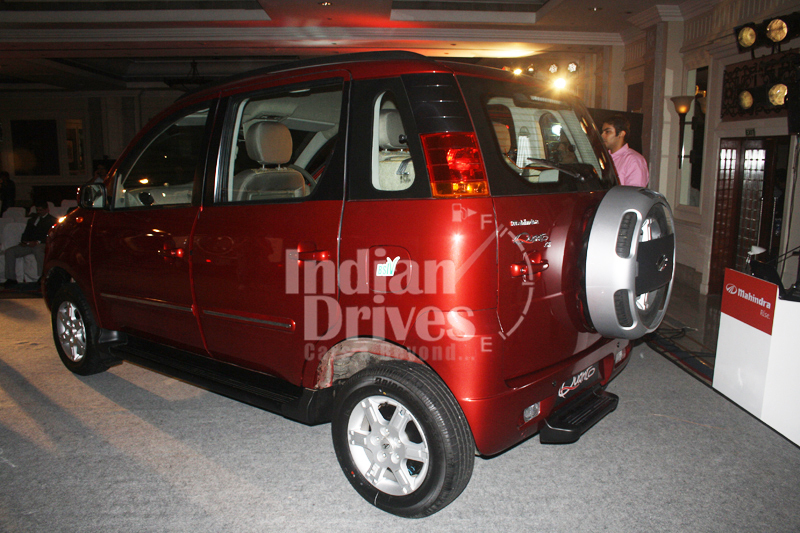 Industry specialists think that Quantowill give stiff rivalry to Maruti Suzuki Swift and Ritz in terms of valuation. Mr. PawanGoenka, President of Mahindra and Mahindra, automotive & farm equipment sections, stated that the new offering will provideelectrifying upgrade to clients who are either in search of diesel hatchbacks and entry level diesel sedans.